KARACHI: Prime Minister Shahid Khaqan Abbasi has given a six-year extension in the tax holiday for exports of information technology to 2025, a major move aimed at encouraging exports in this era of rapid technological advancement. 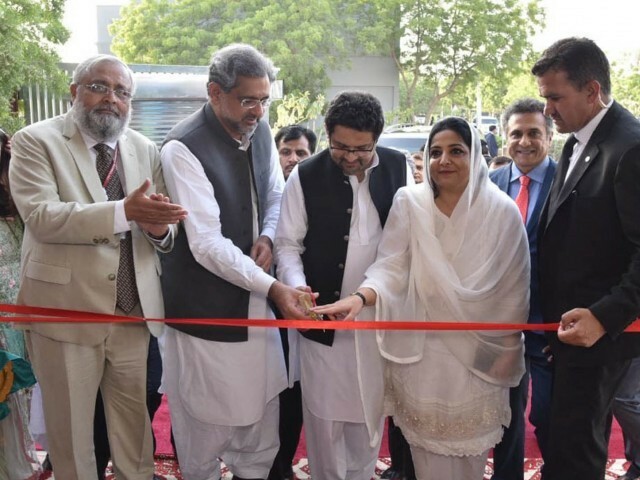 “Cash reward for IT and IT-enabled services similar to the rebate for textile will be given to promote IT exports,” the prime minister announced at the launch of National Incubation Centre (NIC) Karachi programme at NED University on Friday. NIC Karachi has been designed and funded by the Ministry of Information Technology and Telecommunication in collaboration with Ignite, formerly called National ICT Research and Development Fund. The prime minister also announced 5% reduction in sales tax on IT, hoping provincial governments would follow suit as after 18th Amendment to the Constitution, provinces were empowered to impose and collect tax on services. This means that now only Islamabad companies will enjoy the sales tax relief. He revealed the State Bank of Pakistan would ask banks to keep a significant part of financing for IT companies and IT-enabled services as so far Pakistani companies had not got even half of what Bangladesh banks had been lending to the IT companies. “Loans will be given at low rates and will require less collateral; tech special economic zones will also be built to facilitate the sector,” he announced. These facilitation measures had been designed with the help of Finance Minister Miftah Ismail who had been criticised by the opposition as an unelected minister, the premier said and asked Karachi people to elect him in upcoming polls. The incubation centre, which will promote innovation and develop start-ups, costs Rs2.5 billion. NIC Karachi will pursue the same strategy for success as that followed by the incubation centres in Islamabad, Lahore and Peshawar that have achieved operational stability over the past year. Housed in a new, exclusive building at the NED University, the incubator will be operated by a consortium comprising technology company LMKT, Pakistan Telecommunication Company Limited (PTCL), NED, Habib Bank and Pakistan Poverty Alleviation Fund. Recently, a report was published about Pakistan’s entrepreneurial ecosystem that stated “23% of Pakistan’s youth want to start their own business”. However, a majority of them were clueless about the procedures and requirements for initiating a business, it said. Ignite CEO Yusuf Hussain called NIC Karachi a world-class incubator that would create start-ups which would eventually become engines of economic growth and social transformation. NIC Karachi Project Director Shahjahan Chaudhary voiced hope that the incubation centre would become a pro-innovation hub and business accelerator. “We will help identify and nurture promising technology start-ups and together we can help them succeed through our collaborative efforts,” he said.